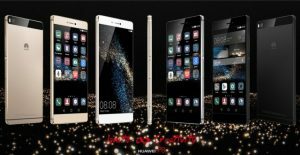 Chinese telephone manufacturer Huawei presented at a special ceremony in Sofia on Thursday its latest smartphone to the Bulgarian audience. P8 is the latest pearl in Huawei’s P series and one of the things that makes it distinctive is that it features an option for taking the perfect selfie. The phone measures 144.9 milimetres in height, 72.1 milimetres in width, 6.4 milimetres in depth and weighs only 144 grammes. It has 5.2 inch screen, 2 GHz processor, 3 GB RAM and features 13 Mega pixel main camera and 8 Mega pixel front camera. The phone has a metal unibody, which is completely made out of aluminium and its operation system is Android 5.0. It is also characterised by enhanced connectivity, offering the features Signal +, Roaming +, Wi-Fi +, which detect the strongest signal for each of the connection modes. “Director mode” lets users capture footage from multiple angles and then combine them to their liking as well as connecting several phones together and switching between cameras. “Light painting” allows users to paint with any light source, while the real-time preview option lets them choose the right exposure time for the perfect shot. “Perfect selfie” identifies the user when taking a group selfie and applies facial enhancement effects to provide a flawless shot. Time-lapse mode allows for making a clip of slow-changing scenes such as the sunrise, sunset or cityscapes.